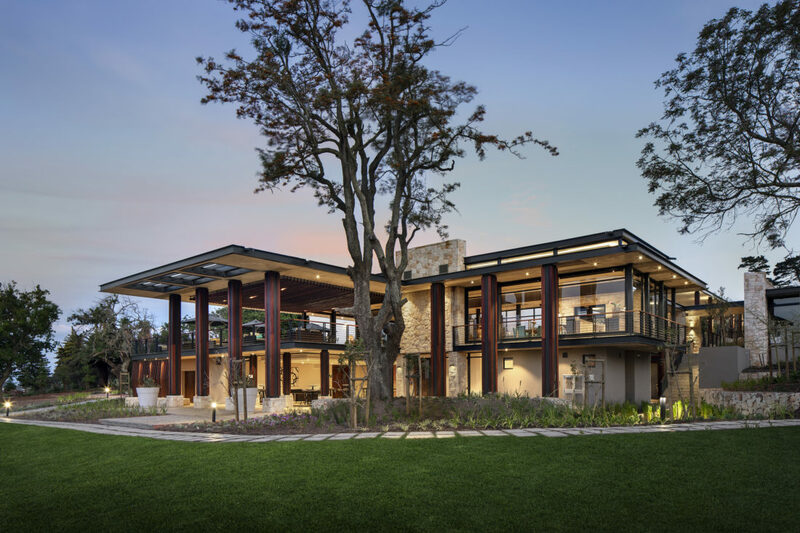 The first of three new retirement villages planned for Cape Town by leading Western Cape Property developer, Rabie Property Group, within the next eight months is now being launched at its prestigious Clara Anna Fontein estate in Durbanville. These villages, being developed at a cost of R2,5billion, will form part of the Group’s existing mixed-use developments, namely Clara Anna Fontein, Burgundy Estate and Century City. They are being launched under a new brand, Oasis Life, which is based on the Life Rights model and which will offer residents an exceptional lifestyle. The launch follows the successful sell out of Rabie’s Oasis Luxury Retirement Resort in Century City where all 376 sectional title apartments were sold out six months ahead of the sixth and final high-rise apartment block being completed. Oasis Life Clara Anna Fontein will comprise a total of 125 homes and an exclusive clubhouse consisting of a dining room coffee bar, lounge, activities room a meeting room and library as well as primary health care facilities staffed by a registered nurse. Phase one of the development, which is now being launched, will comprise 56 one, two and three bedroom freestanding homes all with their own exclusive use gardens. Unlike most other retirement developments where communal facilities are only provided towards the end of the development, the retirement clubhouse component of Oasis Life villages will be built as part of phase one. As it also forms part of the prestigious Clara Anna Fontein estate, residents in the first Oasis Life village will also have access to the spectacular, recently completed R50million Clara Anna Fontein Lifestyle Centre with its dining room and coffee bar, lounges, meeting rooms, a restored 18th Century Manor House, a fully equipped gym, two tennis courts, a squash court and a solar heated 25m swimming pool. Homes will vary in size between 101 square metres and 273 square meters including garages and under cover patios with prices ranging from R2,3million to R5,5million. Oasis Life Clara Anna Fontein will be pet friendly with residents able to keep small and medium size pets. Civils work is expected to start by the end of the year or early next year with the first handovers scheduled to take place during early 2020. Rabie CEO, Leon Cohen, says with people living longer and the current shortage of options for people as they get older, they believe there is huge potential in this market for superior products that offer a really great lifestyle for residents. Cohen says Rabie, which has a proud 40-year track record of delivery and which has been responsible for many of the country’s award-winning, landmark developments including Century City, West Lake, Royal Ascot, Burgundy Estate and Clara Anna Fontein has successfully delivered tens of thousands of homes and hundreds of thousands square metres of commercial space offering investors peace of mind that they are in safe hands. Cohen says they had investigated different financial models and believe Life Rights, which provides the purchaser with the legal right to live in a home for as long as they and their nominated partner/spouse are alive, offers buyers the greatest benefits and financial flexibility whereby options can be tailormade to suit individual’s special circumstances. “One of the biggest pros for purchasers is the fact that it guarantees professional management taking away many of the day to day worries and hassles such as security, clubhouse management, maintenance and insurance facing Body Corporates. “Purchasers also have more certainty about levies and won’t face the shock of a special levy at any time. Cohen said the Group has extensive hospitality experience including owning and running top-notch hotels and a conference centre and its specialised hospitality division would ensure the successful operations of all their retirement villages.